Terracotta is a Tiered Data Management platform that enables applications to keep as much of it's important data as close to where it needs to be. It does so automatically and can help keep data retrieval times at the micro-second level for up to a Terrabyte of data. With Automatic Resource Control, we try to utilize the local cache in an efficient manner keeping the most accessed data nearest to the application. More the hits, more its locally cached. 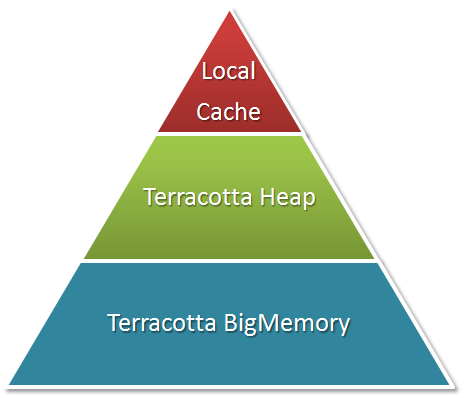 An application which accesses all the data (readonly & readwrite) equally, then ARC will try to distribute the local cache space equally to all the caches. Read more in my last blog. In some applications, we are concerned about throughput (or minimum latencies) accessing one of the data set, which can be certainly achieved if we have it in local cache. Sometimes the developer/admin knows some specific things about an application that allow them to make specific performance decisions about subsets of data. The admin may know that by keeping the "US States Cache" in local heap one can keep a system running at maximum speed. With Cache Pinning, we can pin the small caches locally(which can fit in local heap) while other caches are controlled by ARC. 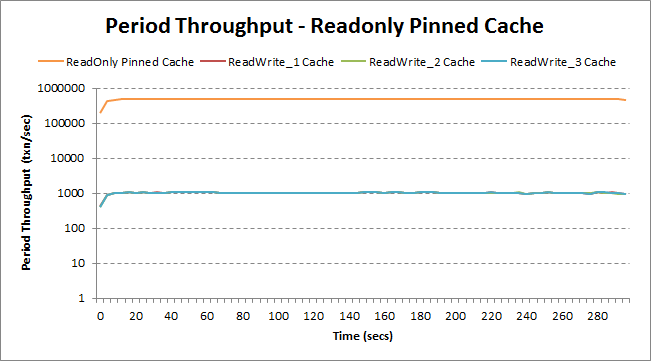 The latencies for the pinned cache would be minimum at micro-second level. Here is a test which tries to simulate this kind of scenario and brings out the performance benefits of the Pinned Caches. The test has 4 caches out of which one cache is a readonly cache. Each cache loads around 250MB of data, total of 1GB data. With 512MB of local cache, ARC tries to equally distribute the resources. Since the local heap is not enough to hold all the data, we store the data at lower layer. 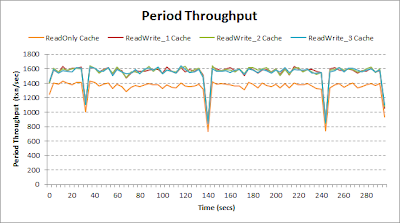 The above chart shows that all the caches are getting accessed equally achieving almost same throughput. ARC is working properly but readonly cache is mostly reading from the lower layers as the some of the data is being moved to lower layer i.e. Terracotta, by other caches. 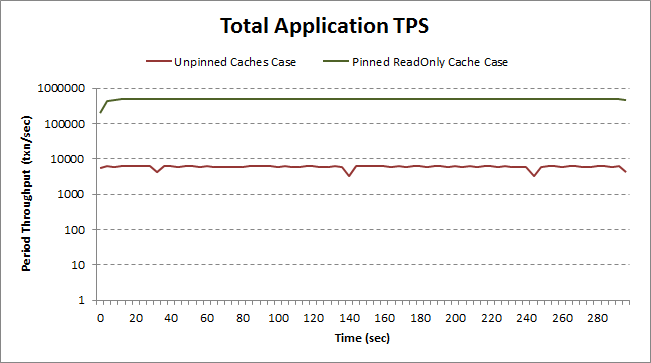 After pinning the readonly cache locally, the applicaion can access the data in readonly cache super-fast way. 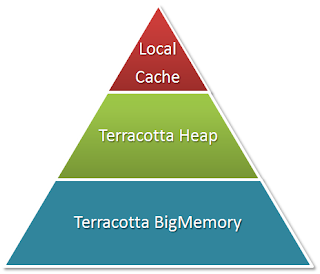 Readwrite caches will anyway be storing the updated values in Terracotta Server Array. The above chart shows that with cache pinning, readonly cache gets a huge boost from somewhere around 1000 tps is now touching 500k tps. As we keep the data closer to the application, it performs better. 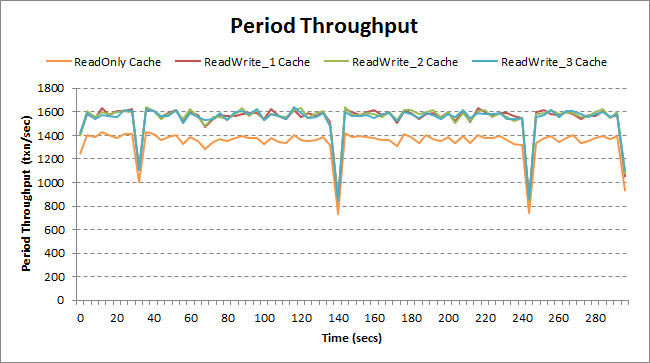 Now ReadOnly cache is holding up 250 MB (total data) out of total 512 MB of local heap. The total throughput of the app also gets a huge boost with cache pinning as ReadOnly cache is performing faster with low latencies and high throughput. To enable cache pinning add following to cache config. Read more at ehcache.org. To download the test click here.